Wrightslaw Special Education Law and Advocacy Conference, a Wrightslaw training program featuring Pete Wright, Esq., is being sponsored by the AOTS Group. Conference includes a 3 course plated lunch, beverages and four Wrightslaw books Wrightslaw: Special Education Law, 2nd Edition, Wrightslaw: From Emotions to Advocacy, 2nd Edition, Wrightslaw: All About IEPs and Wrightslaw: All About Tests and Assessments. Click here to register online. Sold Out! Download and share the registration form. Credits: CLE (continuing legal education) credits have been approved for 6.0 hours. CEU's (continuing education units) have been approved for 0.6 credits. Scholarships: Please email eventmgmt |at| aotsgroup.com for details. Refund Policy: Please note that the conference fee is non-refundable. You may transfer your ticket to another individual until November 20, 2014 with prior notification to AOTS Group at eventmgmt |at| aotsgroup.com. Accommodations: Contact AOTS Group no later than November 11, 2014 if you require special dietary needs. Questions? Contact AOTS Group by telephone 951-251-4437, fax 951-667-3477, email: theresa |at| aotsgroup.com or by mail: AOTS Group, Attn: Theresa Sester, 41593 Winchester Road, Suite 200, Temecula, CA 92590. Click here for directions to the Pechanga Resort and Casino. 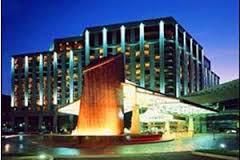 The Pechanga Resort and Casino is offering a special rate of $199 per night. Special amenities with group reservation includes: Complementary health club, complementary valet parking, complinentary wireless internet, and no resort fees. Make reservations directly through Pechanga by calling 888-732-4264 or register online. Use the Group Code SWL1114 whe registering. Attendees must identify themselves as part of the Wrightslaw Special Education Conference or Group Code SWL114. The reservations cutoff date is Tuesday, October 21, 2014. We built the California Yellow Pages for Kids with Disabilities so people can get reliable information and support.